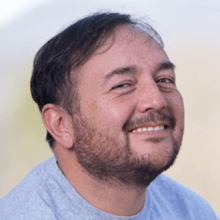 Mark brings a fifteen year programming background and six years of Drupal experience to his role as Senior Drupal Developer at Mediacurrent. Highly involved in his local web community, Mark runs the ABQ Webgeeks Group and started the Albuquerque Drupal Users group. A former radio personality, Mark switched careers to become a programmer when he realized he could have a fun job and eat. (No seriously, kids, radio pays horribly). But as a nod to his days as in radio, Mark hosts the bi-weekly Mediacurrent Dropcast show and the Friday 5 video series. Prior to Mediacurrent, Mark first dove into Drupal to convert dreamincode.net to a better CMS than it had. 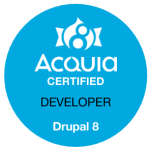 Through that he was sent to Do It With Drupal in New Orleans, where he met the great people of the community. From that point, he was hooked. Mark resides in Albuquerque, New Mexico. When not in front of the computer, he enjoys playing hockey, tennis, and a good craft beer- not necessarily in that order.